The mass rapid transit developer PT MRT Jakarta conducts MRT train signal and electric test at Lebak Bulus Depot, South Jakarta. 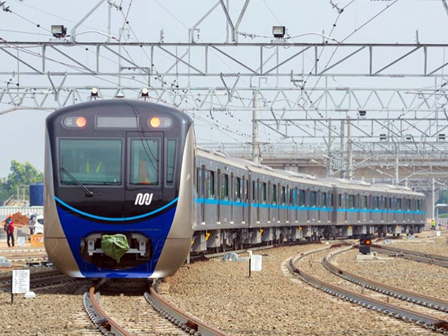 It is conducted using two trains.
" This test is done for two days, precisely since June 4-5, 2018"
"This test is done for two days, precisely since June 4-5, 2018," expressed William Sabandar, Director of PT MRT Jakarta, Tuesday (6/5). Besides that, his side also conducts static test on two MRT train lines at the depot. "The static test is done by moving the train forward and backward," he said. After this, his side would conduct the same trial on the main line. "After the test is completed, Directorate General of Railways for Transportation Ministry will certify it in the forthcoming December," he stated.